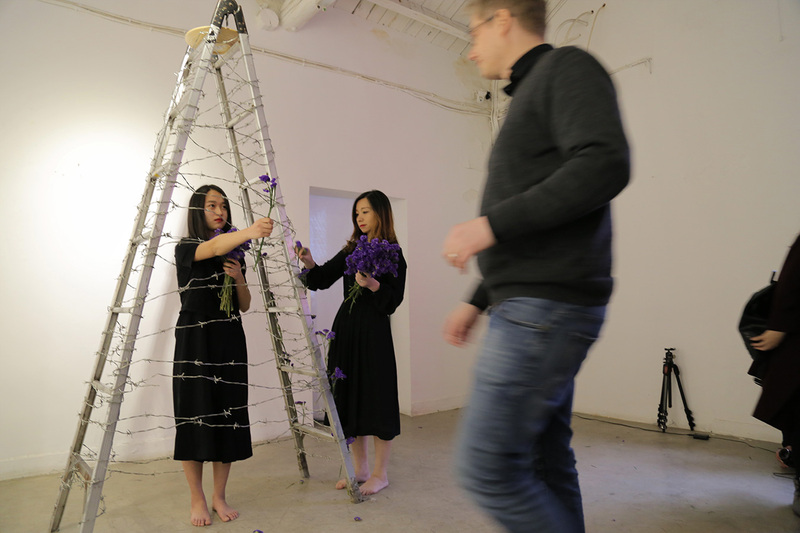 The artist wrapped barbed wires around a ladder to form an installation. 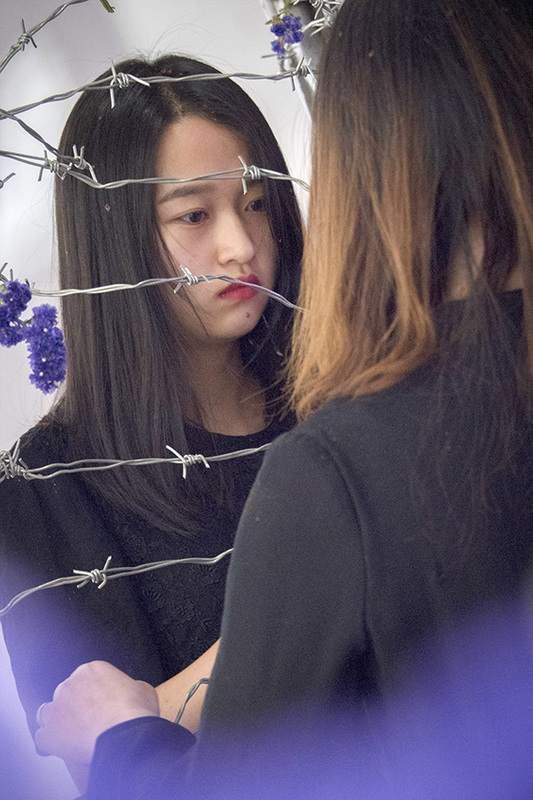 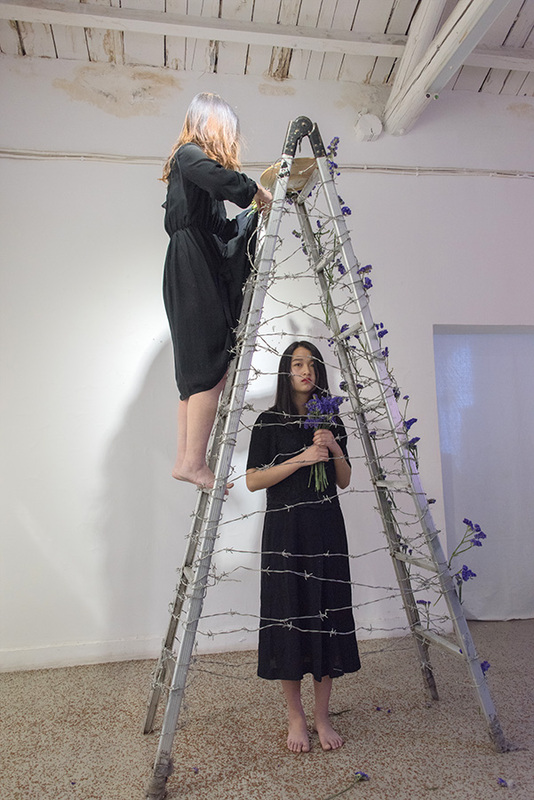 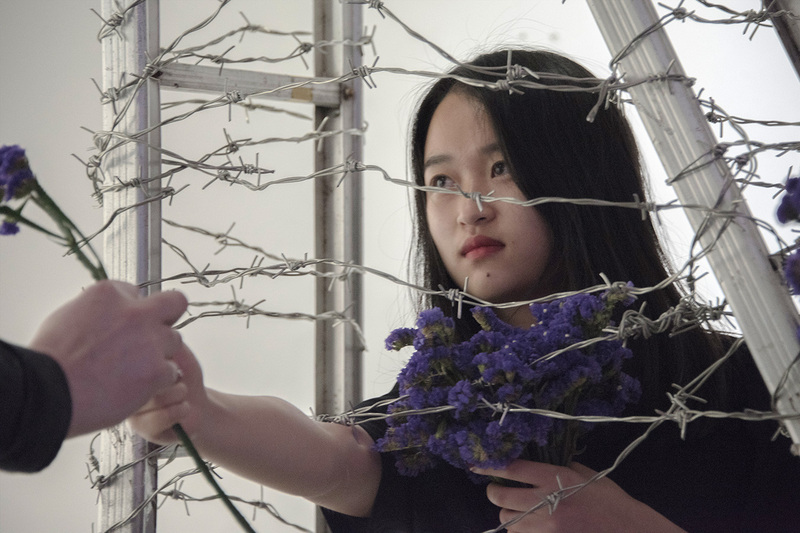 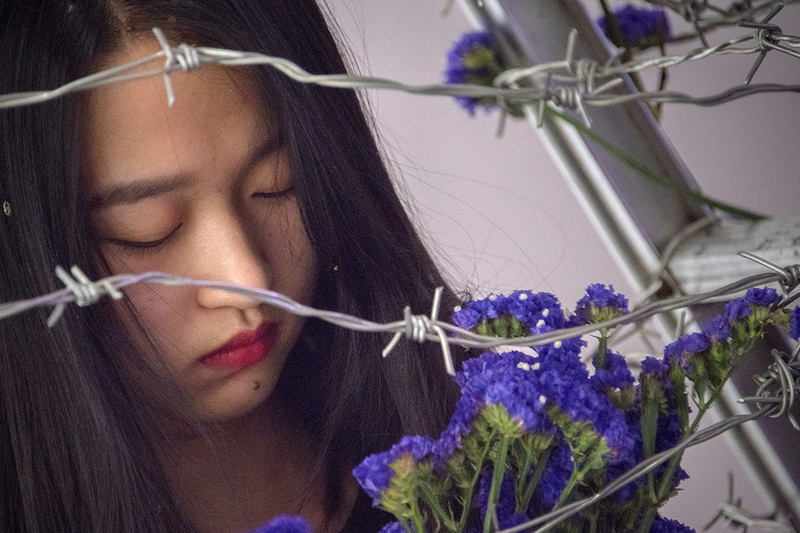 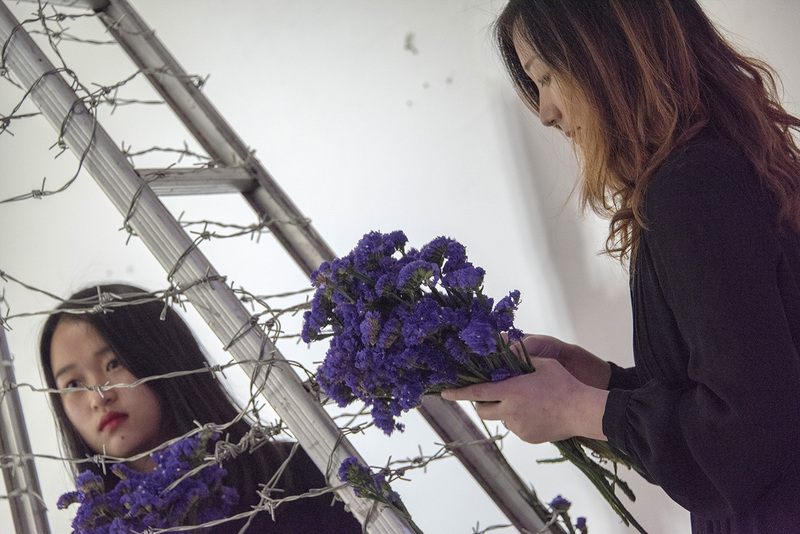 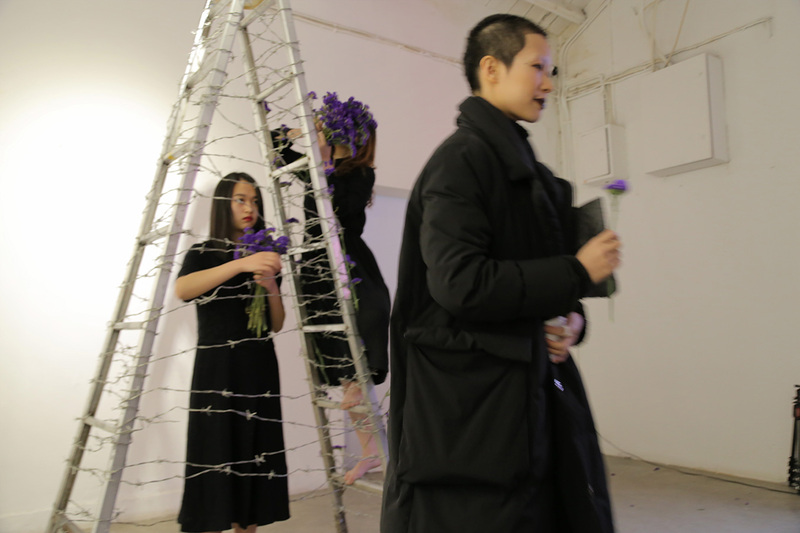 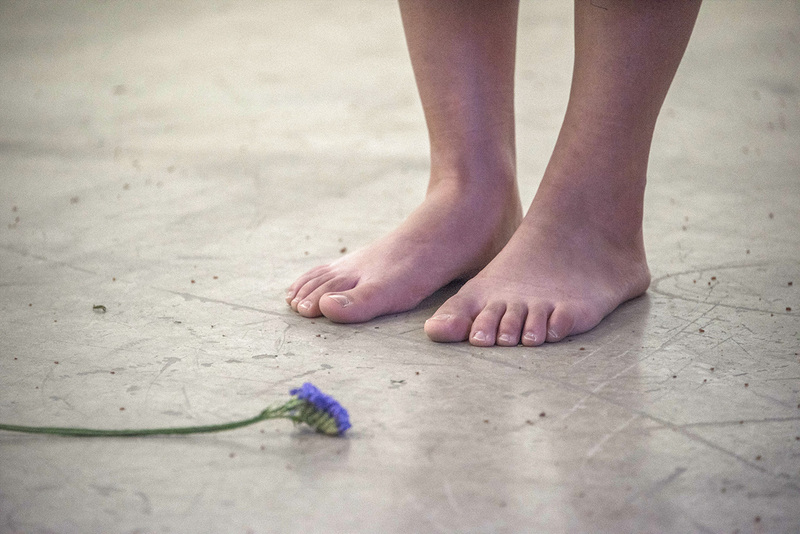 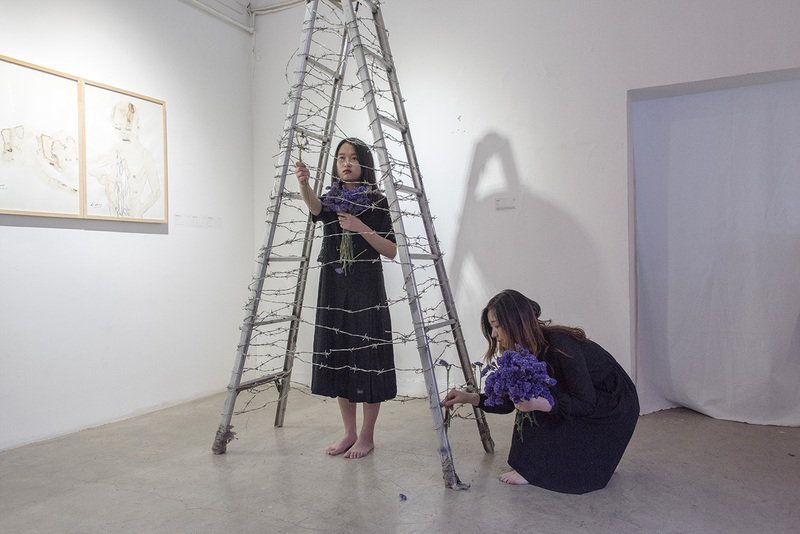 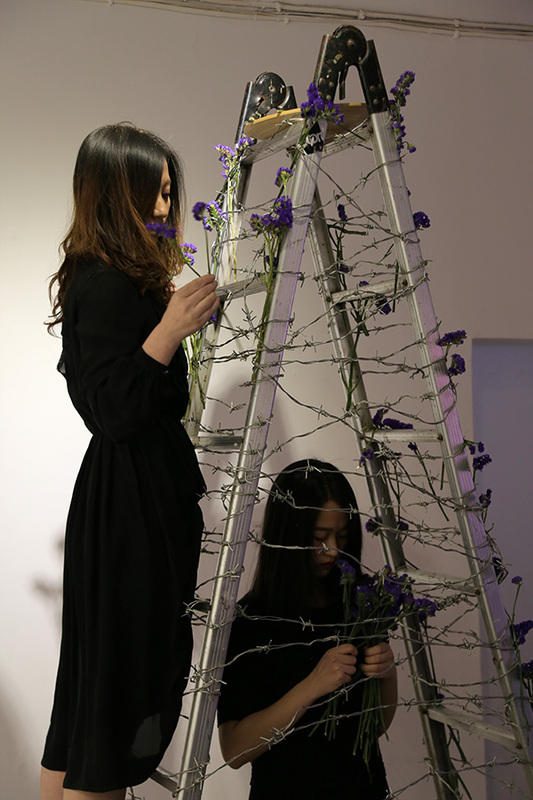 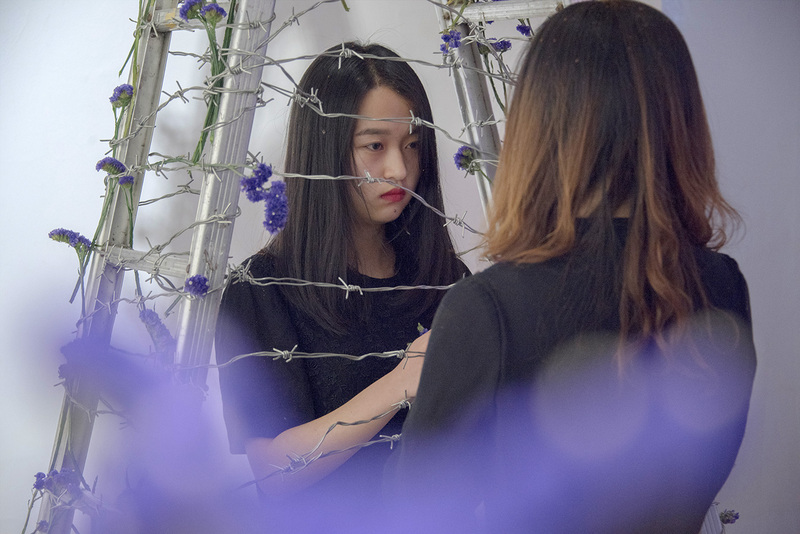 A girl stands underneath the ladder, and gazes at the audience through the barbed wires, and hands out a flower. 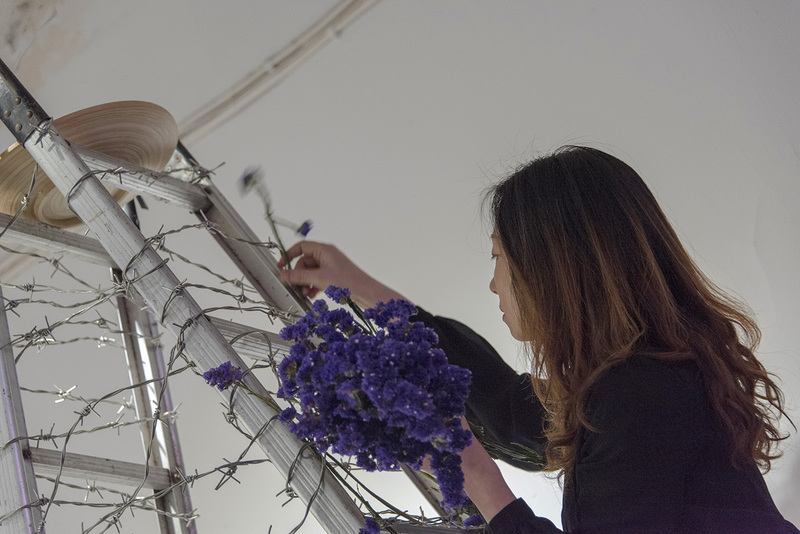 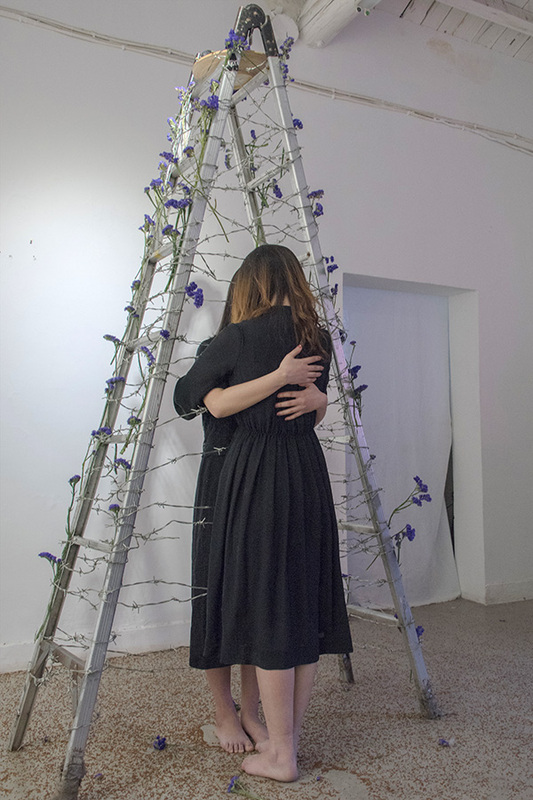 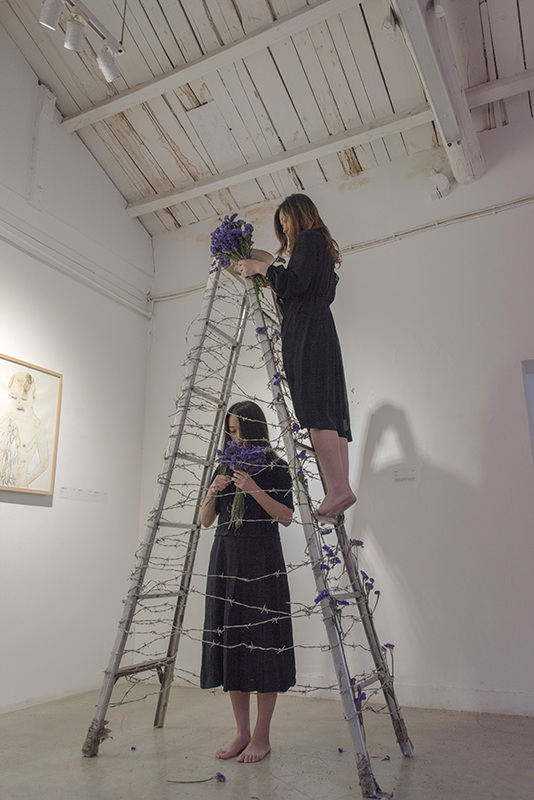 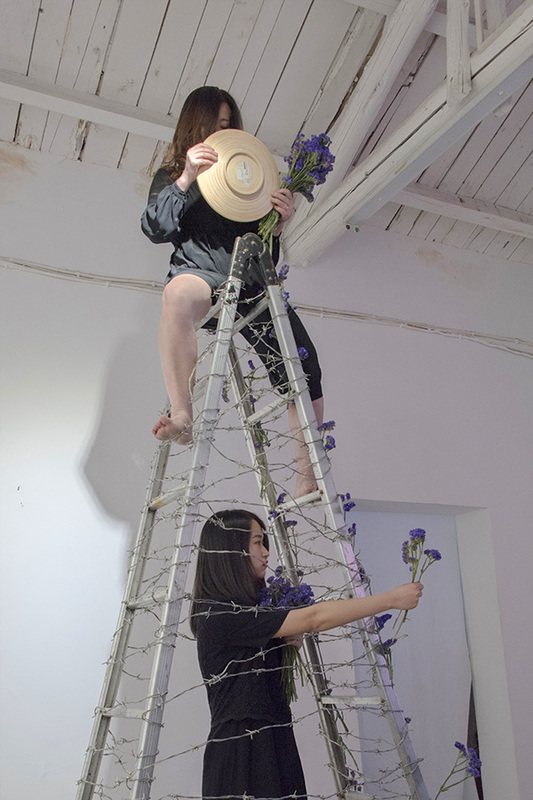 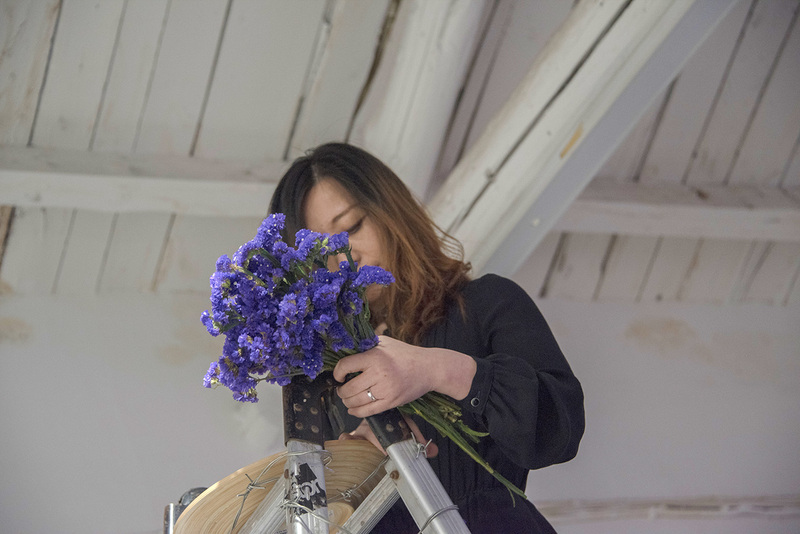 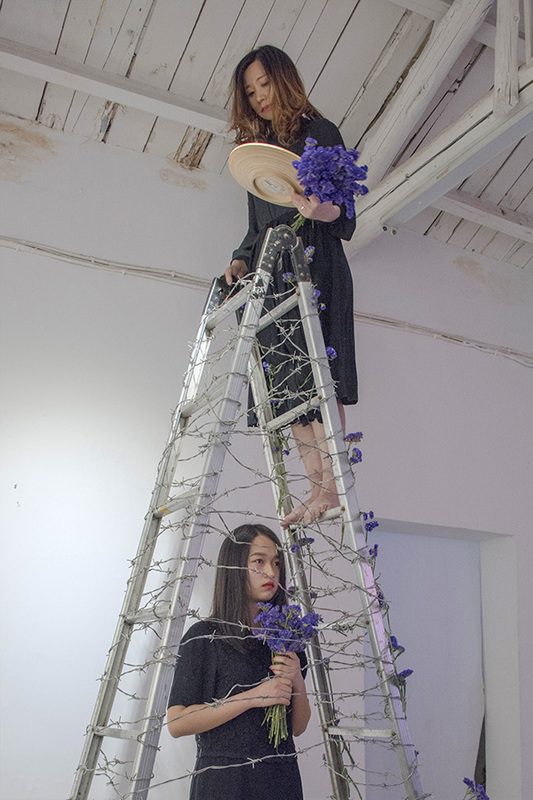 The artist climbs up the ladder, while interposing flowers on the ladder. 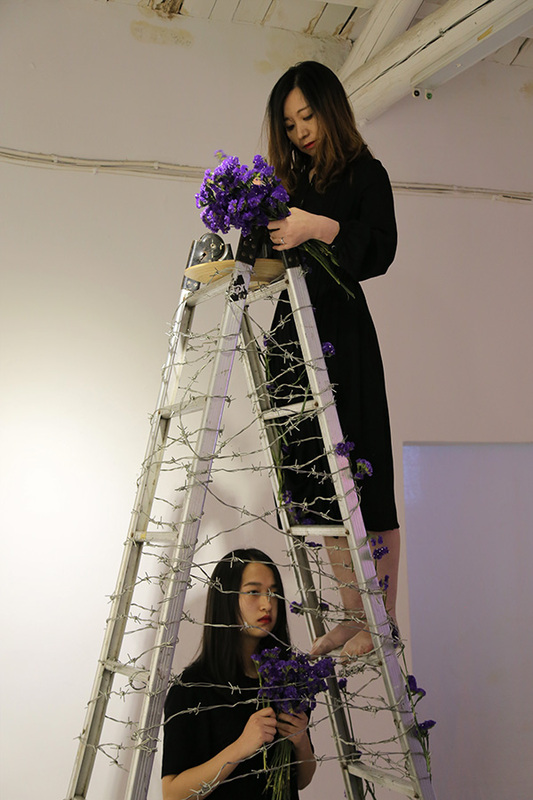 When she reached the top, she poured black seeds down. 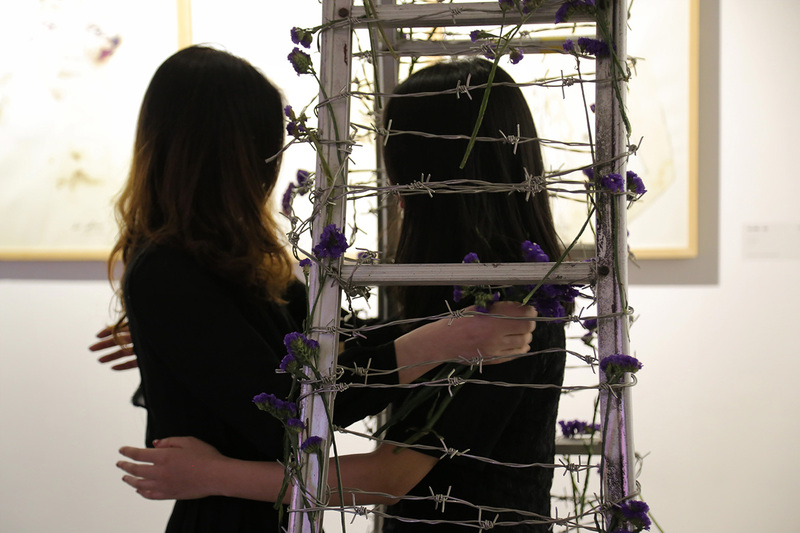 At the end, the two hugged through the barbed wires. 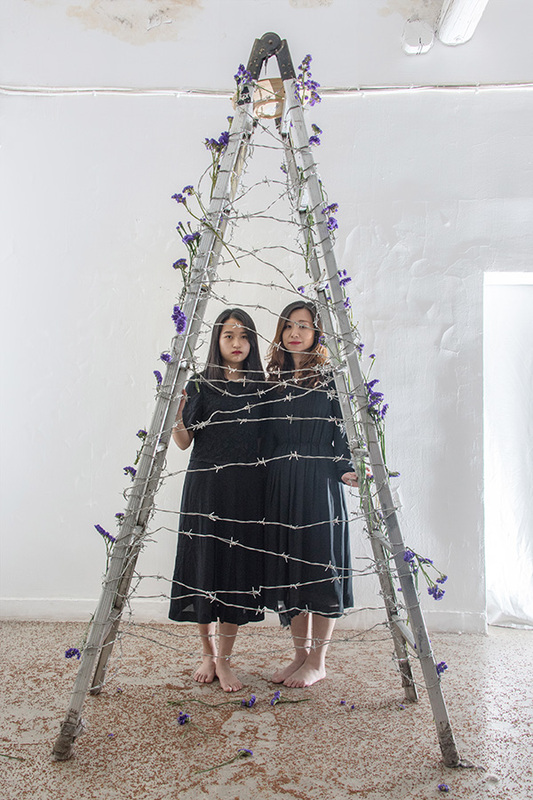 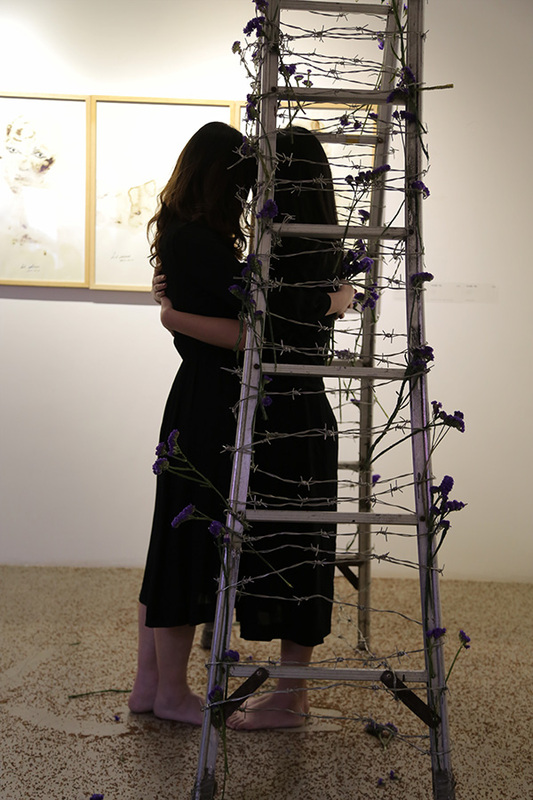 This work is full of metaphors and symbols concerning the crown of thorns, the celestial ladder, isolation, suffering, cruelty and hope, discipline and punishment, life and imprisonment.